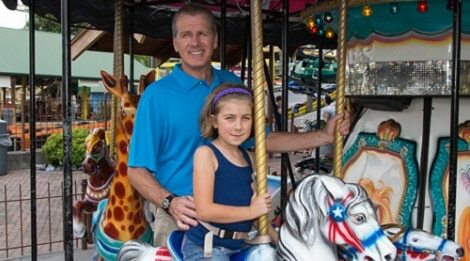 Kids Country is a fun-filled Pigeon Forge family attraction designed for the pint-sized set. A part of the Track Family Recreation Center, Kids Country features rides specifically designed for children under age nine. 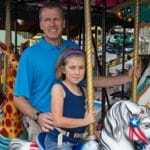 Kids Country Pigeon Forge rides include a carousel, a Ferris wheel, swings, the Rio Grande Train, the Red Baron Plane Ride and the Noah?s Lark swinging boat. 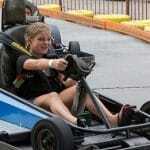 Plus there are Kiddie and Rookie Go-Karts for small children. 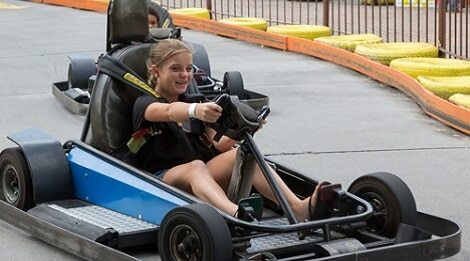 In addition to Kids Country, the Track Family Recreation Center offers thrill rides, bumper cars and bumper boats, miniature golf, go-kart tracks and a game arcade. Off-season or winter hours may vary, convenient free parking.